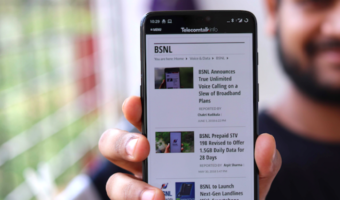 BSNL has put on hold its ambitious 3G network plans for Ahmedabad and Gandhinagar the problem being that Ahmedabad Municipal Corporation (AMC) has mandated a fine of Rs 50,000 for mobile service providers who choose to erect towers on buildings that do not have Building Use permission. This permission happens to be absent for 65 per cent buildings in the city. 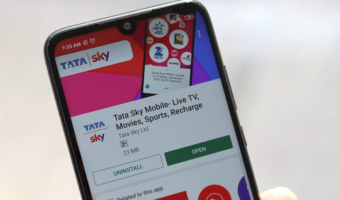 BSNL being a government set-up cannot pay a “fine” as this will invite strictures from department of telecom of the Union ministry of communication and information technology.BSNL was to become the first mobile service provider in the city to provide broadband speeds on mobile phones in 3G technology. BSNL wanted to install 139 new towers and 3G installations on existing 180 towers for its technology. The total worth of the project is Rs 600 crore for Gujarat circle which also includes up gradation of 2G mobile service up gradation within Ahmedabad city and in the rural outskirts. BSNL had the announced its 3G plans for 12 cities in the country including Ahmedabad in early February. “BSNL officers have explained to us that private service providers have no hassles paying Rs 50,000 and legalizing their towers on buildings without BU permission this is not possible for BSNL, we are working on an amiable way out of this rule,” says a senior town planning officer. BSNL’s woes don’t end here. The facts that they will have to get stability reports from the three institutes too have axed their plans. “A letter by BSNL to AMC commissioner states that the stability tests for each building would take at least two months. This would only delay BSNL’s plans of 3G installation,” adds the officer.